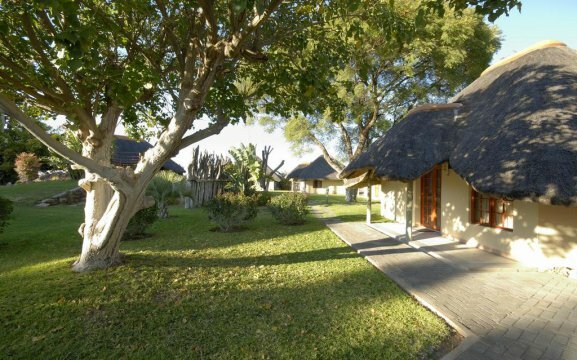 Frans Indongo Lodge is located 44km from Otjiwarongo, on a large 17,000ha game farm. 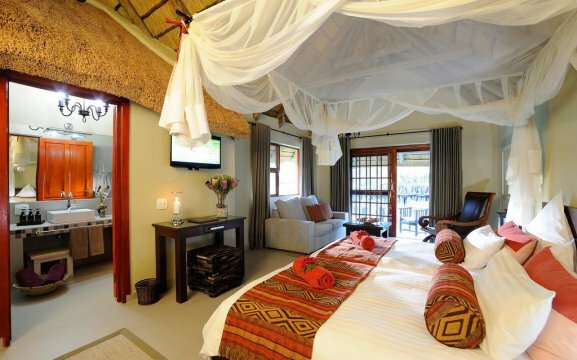 Here guests will find white and black rhino, black wildebeest, hartebeest, and many more. 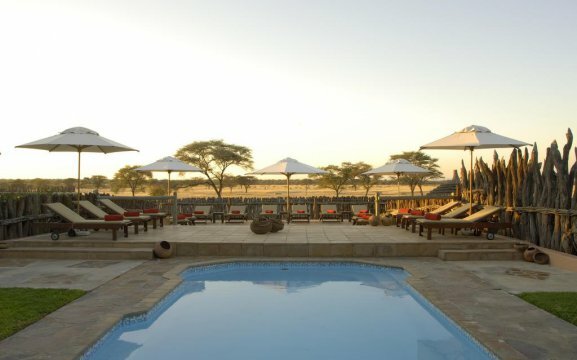 It’s an ideal stopover between Windhoek, Waterberg and the Etosha National Park. 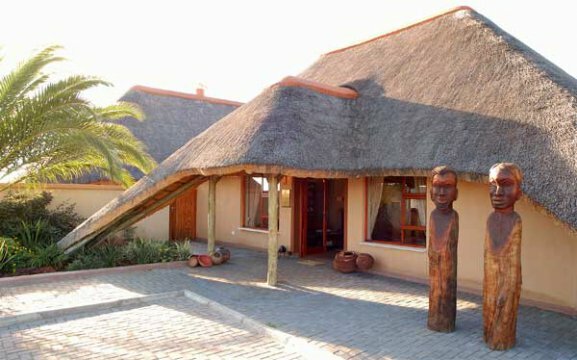 The lodge features an outdoor pool, beautiful views over the garden, free Wi-Fi and free private parking. 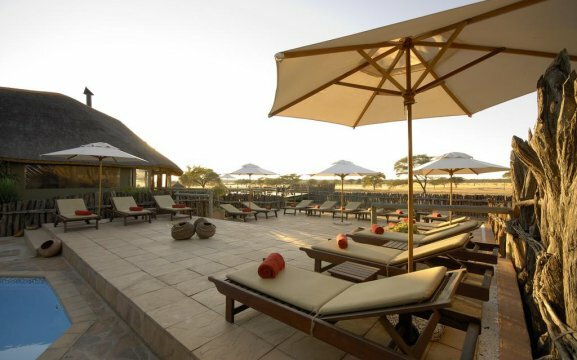 Guests can relax by the pool and watch a succession of Sable Antelope, Nyala and black Springbok quench their thirst at the waterhole. 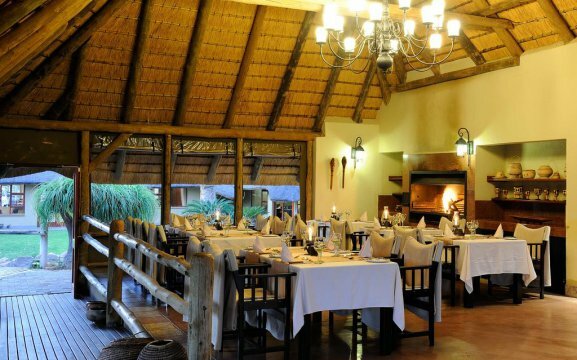 Our restaurant is under thatched roof, where comfortable armchairs and plump cushions can be found, with an inviting fireplace for the cold winter nights. 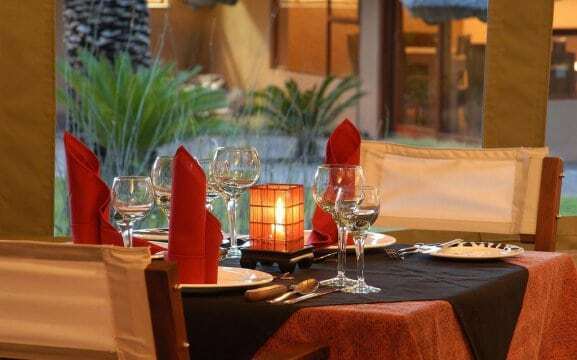 Our gourmet kitchen serves a variety of game, served with vegetables and salads – grown in our very own herb garden. We also offer packed lunches on request. 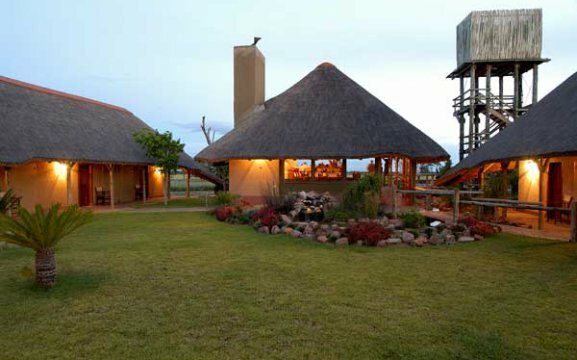 The lodge was names after its owner, Dr Frans Indongo, a distinguished businessman. He was a quite exceptional man and most probably the wealthiest man in Namibia. Today the hosts at the lodge are Astrid and Alf Walter. 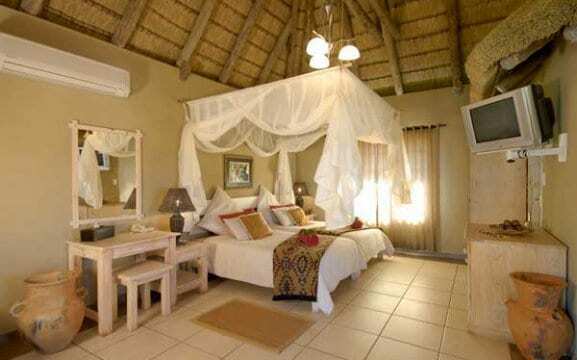 Frans Indongo Lodge is modelled on traditional Ovambo style with natural stone, wood and reed for the houses and earthen pots, large storage baskets and original wood figures for decoration. 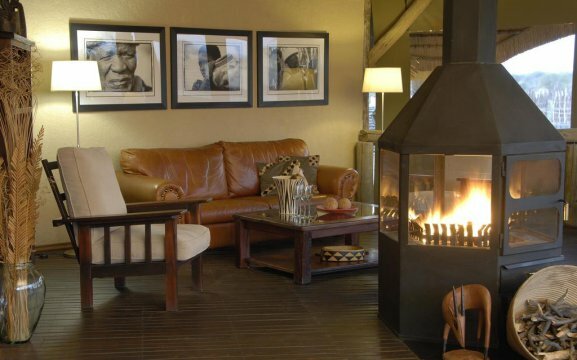 Our accommodation comprises in 2 double rooms, 2 family units and 8 generously proportioned chalets. 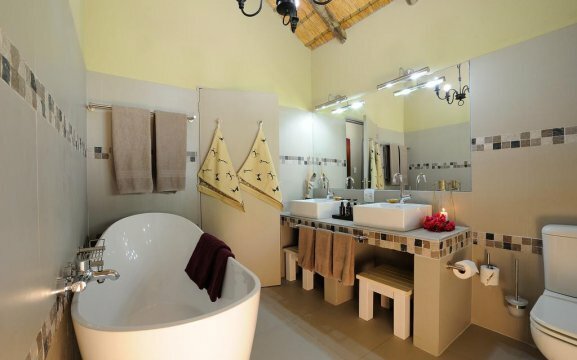 All include air-conditioning, satellite TV, lounge, terrace, en-suite bathroom with hairdryer and tea/coffee station. 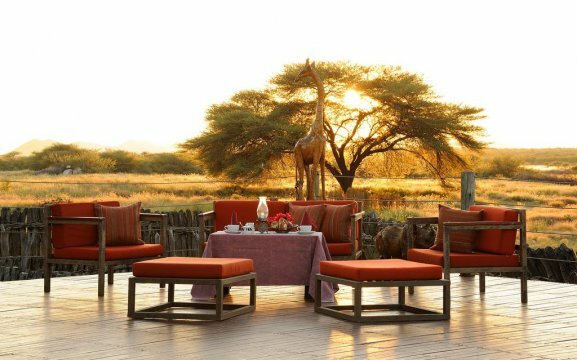 We offer guided game drives with an off-road vehicle, self-drive tours to the Waterberg, hiking trails, a visit to the Cheetah Conservation Fund, the Vulture Restaurant – where you will get to know more about the Cape Vulture and a picnic spot just 16km away from the lodge. Experience the fastest animal – the cheetah, and learn more about them at the Cheetah Conservation Fund. 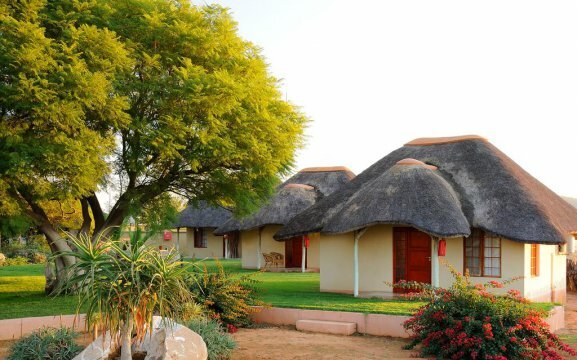 Visit the OvaHerero Cultural Centre and learn more about their history.